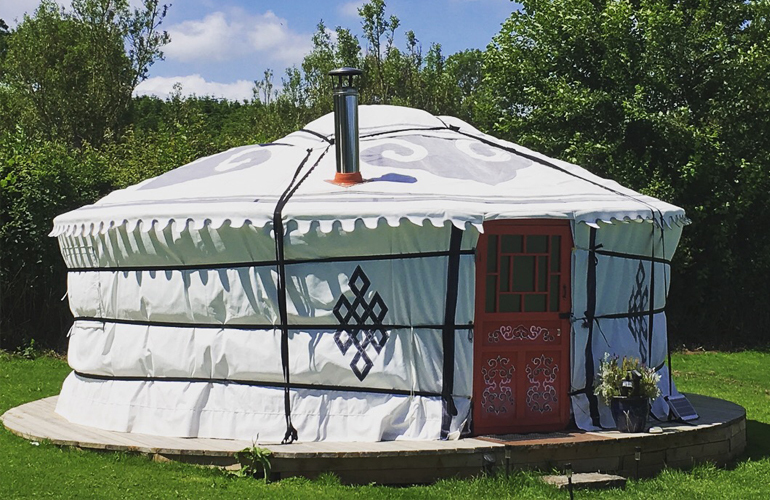 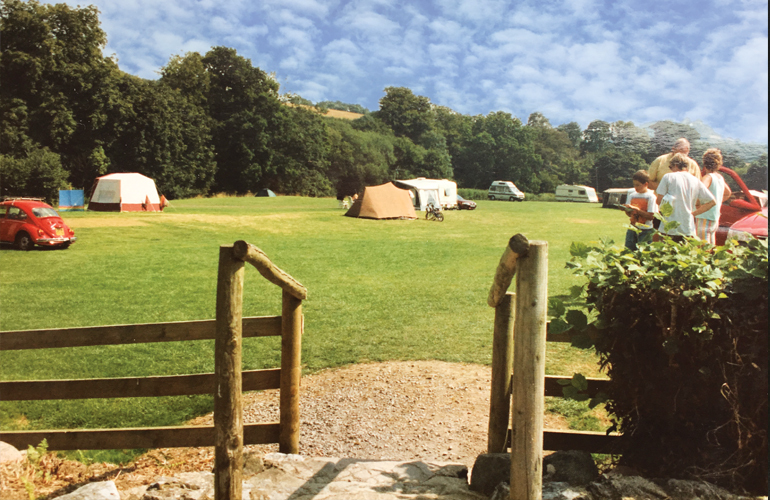 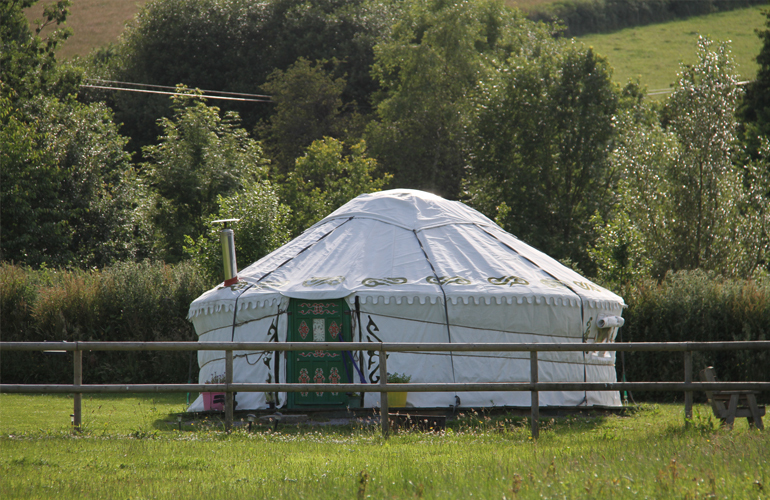 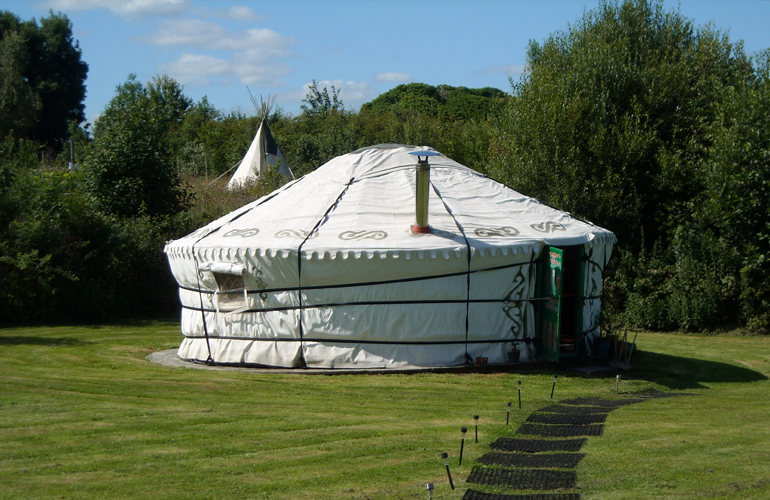 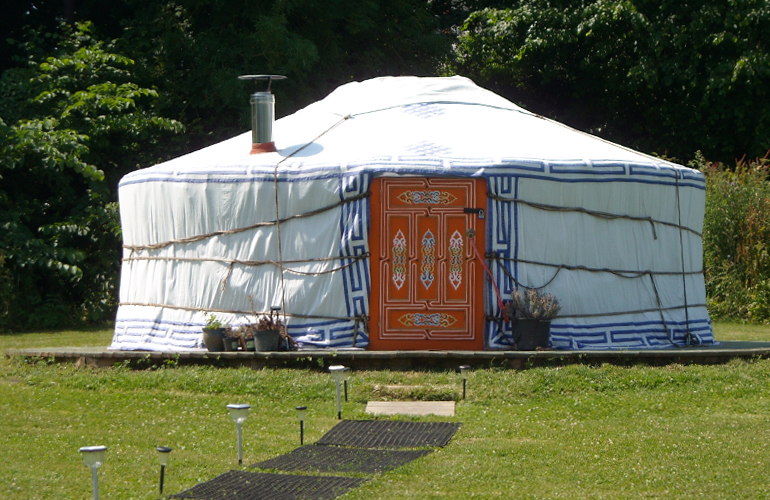 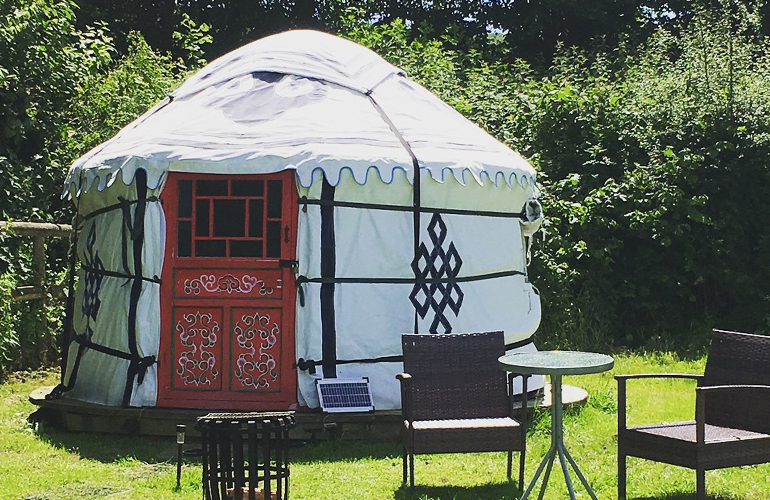 Hemsford yurt camp offers self-catering “glamping” holidays in our Authentic Mongolian yurts and our vintage shepherd’s hut in the picturesque South Hams area of Devon. 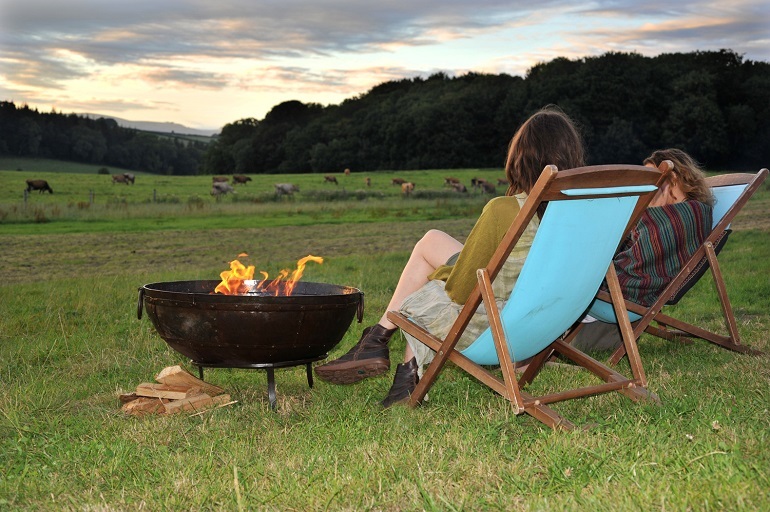 We offer short breaks, weekends or full weeks, open from March – November, suitable for families and couples. 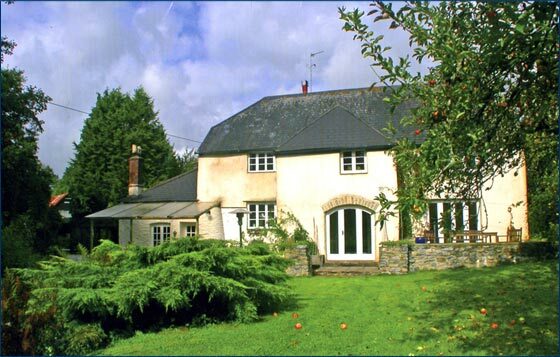 Located in a quiet rural location within a short walk of the local pub and 3 miles from Totnes town centre.